What Is the Difference Between a Theme Park and an Amusement Park? Is Disney World a theme park or an amusement park? What about Cedar Point? Is there really a difference or are these two terms for the same thing? Does it even matter? Well, it may not be as important as some things out there, but park and amusement park enthusiasts will find it interesting, if not important. There’s a lot of confusion and mis-information out there. So, I thought I’d take the opportunity of this article to clear up some of the confusion. Let’s start by defining the term “Amusement Park” first because amusement parks were the first to appear on the scene. By most definitions, the amusement park has been around for hundreds of years, since about the 16th century. It can be defined simply as a fixed location where multiple rides and attractions are assembled to entertain people. Simple enough. Over the years, however, the definition of an amusement park has been clouded by changes in ride design, the invention of the automobile and the mass media, and the need for entertainment to match or exceed the expectations of its audience. These changes have caused upgrades and innovations of some parks and bankruptcies and closures at many others. But, one thing remained consistent, the parks, themselves, were always just collections of attractions, no matter how disjointed or tacky looking the collection appeared. Excellent examples of these include Coney Island in Brooklyn or the Riverview Park in Chicago…neither of which exist today by the way. While it’s debatable when the “theme park” was introduced, most experts believe that Walt Disney was its inventor. Disney was, however, highly influenced by Knott’s Berry Farm and the amusement parks of Europe. So, you could make the claim that Knott’s Berry Farm was the first theme park, but certainly Walt Disney took the theme park to a whole new level. So what makes a theme park different from an amusement park? A true “theme” park consists of different themed lands or regions. Great efforts are made to create the illusion of another world or culture using landscaping, architecture, music, food, employees, and attractions. In a theme park the rides often take second place to the environment they are placed in. The more a park is able to take its guests out of the “real world” and into a world of fantasy, the truer the label “theme” becomes. Because Walt Disney used film directors instead of architects for the design of his park, he was able to create a true escape from reality, as if the theme park were a movie on a screen. With the opening of Walt Disney World in Florida in 1971, the next step in the evolution of the theme park took place. Going beyond just the Walt Disney World rides and attractions, Disney combined the theme park with hotels, golf courses, water recreation, and (eventually) more theme parks. We like to call this the “Themed Resort”. The idea of the theme resort is to attract guests and then keep them on your property for everything they could ever want or imagine. It is quite possible, with the advent of Disney’s Wide World of Sports – the sport fishing, water and field sports and tournament capabilities – that just about everything one could do on a vacation can now be found in one location. The themed resort has become a one-of-a-kind, one-stop shop for the dream vacation and the numbers are proving Disney’s idea to be the right kind of thinking. Disney is not alone in this market. Universal Studios in Orlando consists of two separate theme parks, hotels and dining to create the Universal Orlando Resort. Disney learned in the 80’s that keeping people close was the key to profits and that is certainly proving true. It’s easy to become frustrated by comparisons that are commonly made between amusement parks and theme parks, even though those comparisons by definition shouldn’t be made. When someone says “I think Cedar Point is a much better amusement park than Disney World”, they’re correct in a sense because Walt Disney World is not an amusement park, and will never pretend to be a roller coaster enthusiast’s heaven. At the same time, however, they’re also wrong because they’re comparing apples to oranges. To make things even more confusing Cedar Point will sometimes call itself a theme park simply because they give labels to different areas of the park. Sorry Cedar Point. Theming is more than just labels. 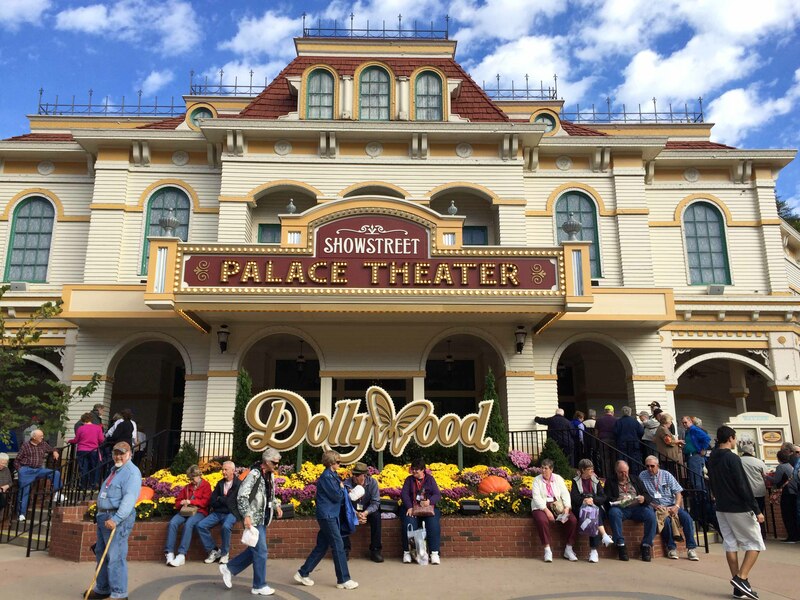 So, the next time someone says they enjoyed Dollywood or Six Flags much more than Disney World, don’t bother to argue. They may as well say they enjoy sushi more than a bicycle.